As Mayors, we have taken it upon ourselves to take bold action within our cities to tackle the climate crisis head-on. We write today to ask for your partnership in our work to clean our air, strengthen our economy, and ensure that our children inherit a nation healthier and better prepared for the future than it is today. We lead 71 small and large American cities, comprising over 38 million Americans in both blue and red states. 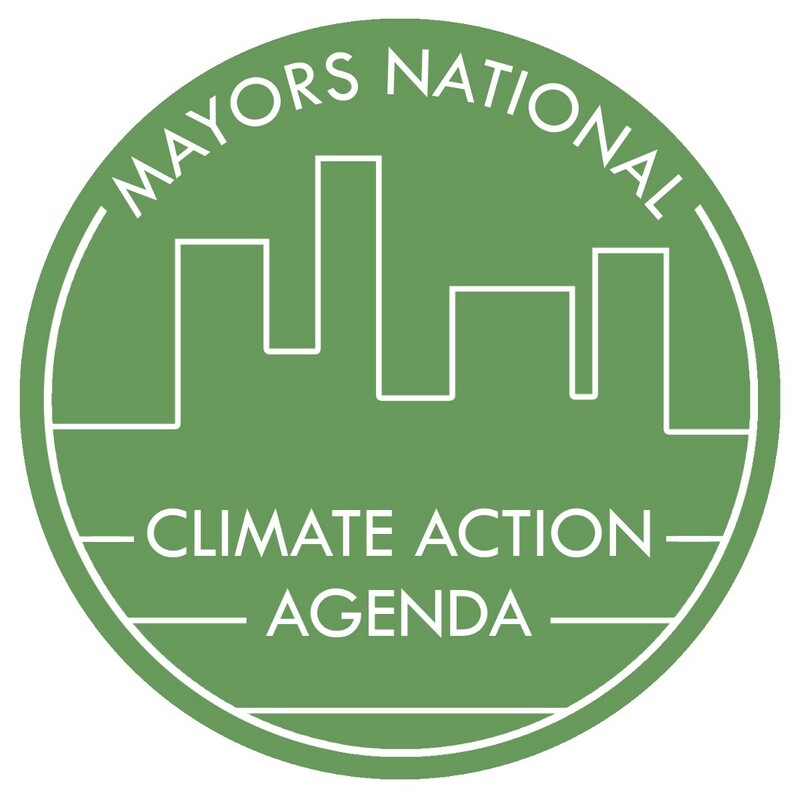 We have joined together in the U.S. Mayors’ National Climate Action Agenda (MNCAA), or the #ClimateMayors, in addressing the greatest challenge of our time, climate change. Each of our cities is committing to ambitious targets to reduce greenhouse gas emissions, set climate action, regularly report on our progress, share lessons and hold each other accountable. Around the globe, cities are working together through organizations like C40 as well. The effects of climate change — extreme storms, wildfires and drought; sea level rise and storm surge; choking air pollution in cities; disruption of agricultural supply chains and jobs in rural heartlands; and coastal erosion, to name a few — are a clear and present danger to American interests at home and abroad. This is why the U.S. Department of Defense stated in 2015 “that climate change is an urgent and growing threat to our national security”. Furthermore, estimates have shown these impacts from climate change could cost the American economy $500 billion annually by 2050, and that figure will only rise unless we work together to stem, and ultimately reverse, the amount of greenhouse gases entering our atmosphere. The cost of prevention pales in comparison to cost of inaction, in terms of dollars, property and human life. As our incoming President, as a businessman, and as a parent, we believe we can find common ground when it comes to addressing an issue not rooted in politics or philosophy, but in science and hard economic data. Simply put, we can all agree that fires, flooding and financial losses are bad for our country, that we need to protect our communities’ most vulnerable residents who suffer the most from the impacts of climate change, and that we all need healthier air to breathe and a stronger economy — rural and urban, Republican and Democrat — and in terms of our domestic quality of life and our standing abroad. On November 8, American voters approved more than $200 billion in local measures, funded by their own local tax dollars, to improve quality of life and reduce carbon pollution. Seventy percent of voters in Los Angeles County, the car capital of the world, approved a $120 billion, multi-decade commitment to public transit. Seattle voters approved transit investments totaling $54 billion; Austin voters approved a record-setting $720 million mobility bond; Boston voters approved investment in affordable housing, parks, historic preservation and more. As President, you will have the power to expand and accelerate these local initiatives which the people resoundingly supported. We call upon you and the federal government you will lead to help cities leverage funds for the hundreds of billions of dollars in transit, energy, infrastructure and real estate development necessary to upgrade our infrastructure for the 21st century. We ask that you lead us in expanding the renewable energy sources we need to achieve energy security, address climate change and spark a new manufacturing, energy and construction boom in America. We ask that you help provide American businesses the certainty to invest through continued tax credits for electric vehicles, solar power, renewables and other clean technologies. And we ask that you shift to embrace the Paris Climate Agreement and make U.S. cities your partner in doing so. While we are prepared to forge ahead even in the absence of federal support, we know that if we stand united on this issue, we can make change that will resonate for generations. We have no choice and no room to doubt our resolve. The time for bold leadership and action is now.